The new Ford Mustang is the iconic sports car that lives up to its legendary heritage. Get ready to dominate the racetrack in the new Ford Mustang, the iconic performance car with a legacy that spans over 50 years. The new Mustang gives classic pony car styling a modern spin with its sloping roofline, muscular body, and athletic stance. 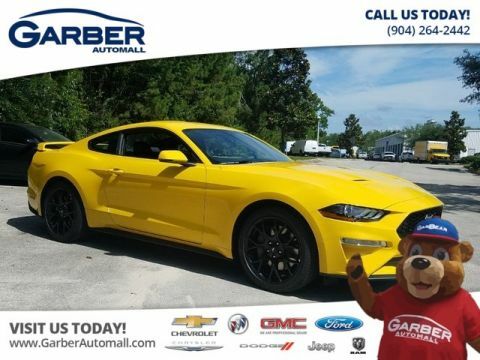 A plethora of wheel and color options allows you to customize the Mustang to your taste, and the unmistakable galloping Mustang logo on the front and rear announce your arrival. Behind the wheel, you’ll find a cockpit designed with performance driving in mind. The expansive dashboard is reminiscent of classic sports cars while the dual-zone climate control, available RECARO® sports seats, and Sync® 3 infotainment system keep the new Mustang firmly in the now. 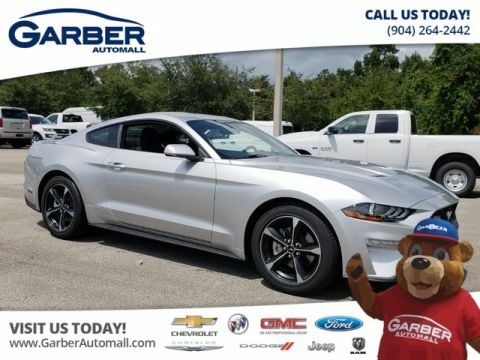 Whether you’re racing through Orange Park, cruising through downtown Jacksonville, or commuting to Fleming Island, the new Ford Mustang demands everyone’s undivided attention. Performance driving runs in the new Ford Mustang’s veins, and the heartbeat lies in the exhilarating 5.0-liter V-8 engine. In GT models this engine’s 460 horsepower and 420 pound-feet of torque roars the Mustang to 60 mph in less than four seconds. The new Mustang BULLITT takes it one step further with its 480-horsepower V-8 for a truly adrenaline-pumping ride. 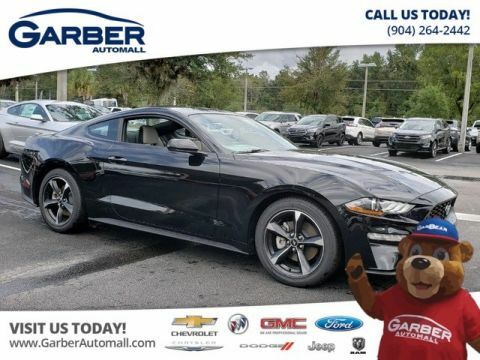 Discover the legendary Ford Mustang for yourself today by scheduling a test drive at Garber Automall in Green Cove Springs. 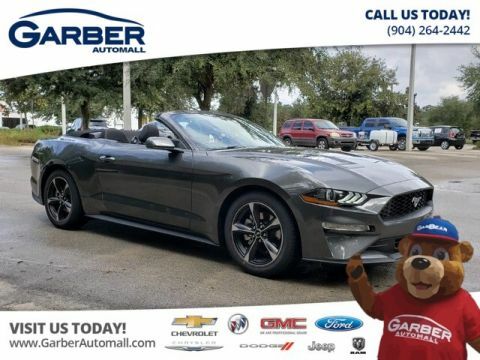 The Ford Mustang has been a trendsetter since it rolled onto the scene over 50 years ago, and the newest model is no exception. 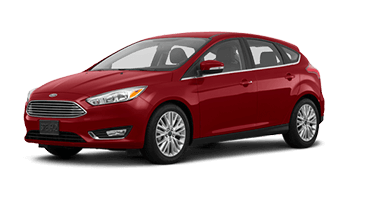 The original pony car still gets heads turning with its muscular facade, athletic stance, and stunning color palette. The new Ford Mustang takes its classic styling and gives it a contemporary twist. 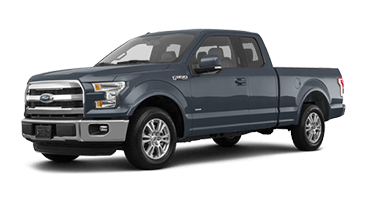 This muscle car roars onto the scene with a sculpted body, wide stance, and bold front end, ensuring you have everyone’s undivided attention. Available options like a rear spoiler and dual-exhaust with quad tips further enhance the Mustang’s sporty aesthetic. Ford equipped the new Mustang with full-LED front lighting, including headlights, turn signals, and available fog lights. The LEDs more efficient and cast light farther than traditional halogen bulbs. Even at a standstill, the new Ford Mustang makes a bold statement. 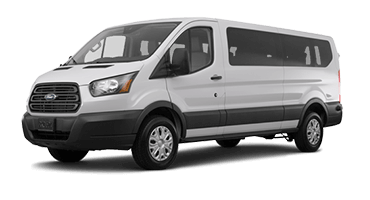 Choose from a plethora of wheel designs guaranteed to up your curb appeal, like the 20-inch Premium-Painted Aluminum Wheels or the 19-inch Ebony Black-Painted Aluminum Wheels. 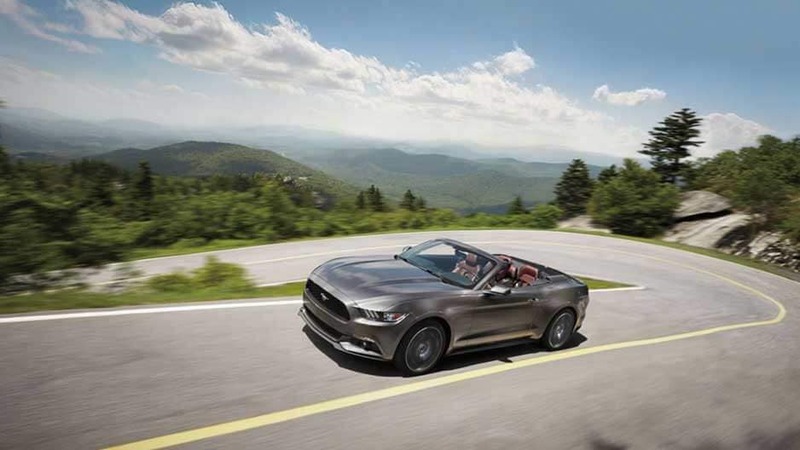 Open the Ford Mustang’s interior to the world with the available cloth convertible top. This electrically powered top is quick and quiet — all you have to do is press a button. The new Ford Mustang never fades into the background with a number of fun color options, such as Need for Green, Velocity Blue, and Orange Fury. For those who want to embrace the Mustang’s racing roots, there’s also an optional racing stripe. Ford crafted the new Mustang’s interior with your driving experience in mind. 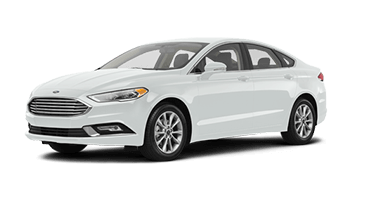 The interior boasts available premium leather, sports seats, and ambient lighting, so you experience comfort and class whether you’re racing around the track or cruising through town. Slip into the Ford Mustang’s cockpit and get ready to travel at the head of the pack. The Mustang’s interior features callbacks to its heritage like the expansive dashboard while also offering the modern-day amenities you want, like premium leather. 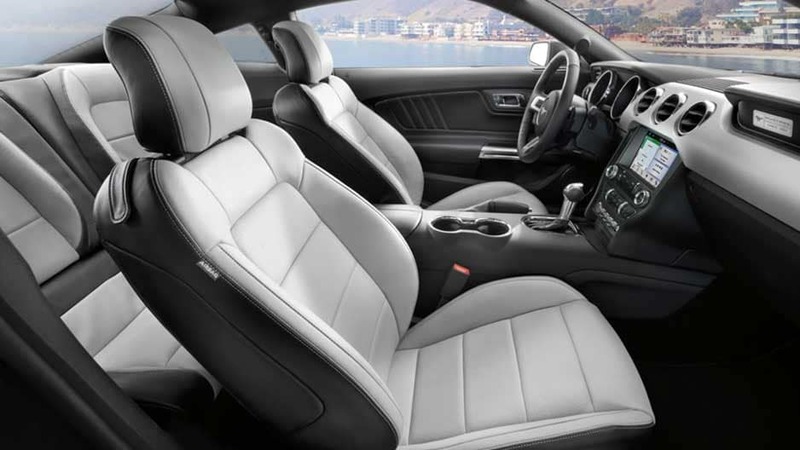 With the Ford Mustang’s available RECARO® leather trimmed front sport seats, you’ll enjoy excellent support and superior comfort both on and off the track. 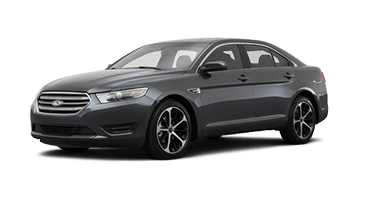 Opt for the available heated and cooled front bucket seats to up your comfort levels further. The new Ford Mustang features an available customizable 12-inch color LCD instrument cluster. Once you’ve chosen your layout, use the ambient lighting with MyColor to personalize the cluster with one of its 30 colors. With the Ford Mustang’s dual-zone automatic climate control, you and your front passenger ride comfortably. This system allows you to choose individual temperature settings, ending arguments over whether it’s too hot or cold. 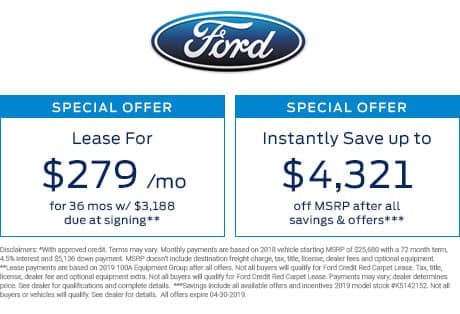 Ford made it easy to hop behind the wheel and take off down the road with the Mustang’s standard push-button start. 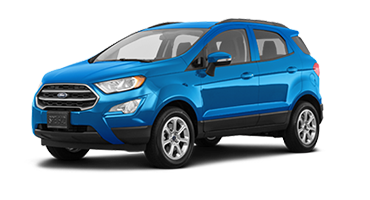 As long as you have your keys on you, you can unlock the doors and start the engine with the push of a button. 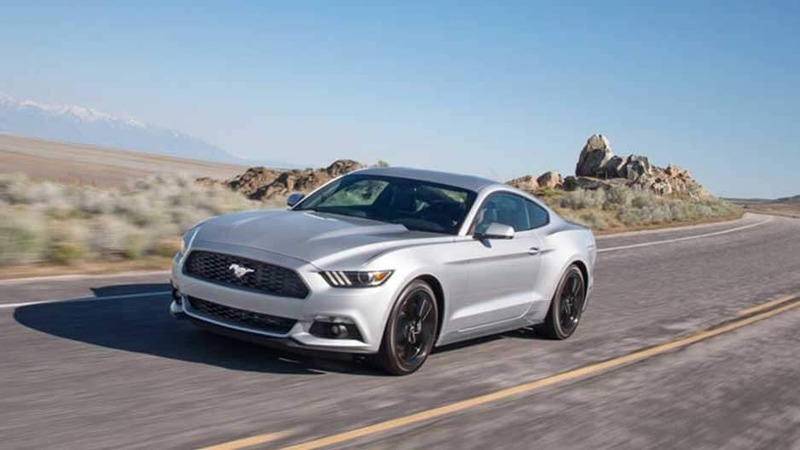 The new Ford Mustang inspired the iconic pony car generation over 50 years ago, and it continues to lead the way in innovation with its advanced tech features. Slip behind the wheel and get carried away with smartphone integration, SiriusXM® Satellite Radio, and premium sound systems. 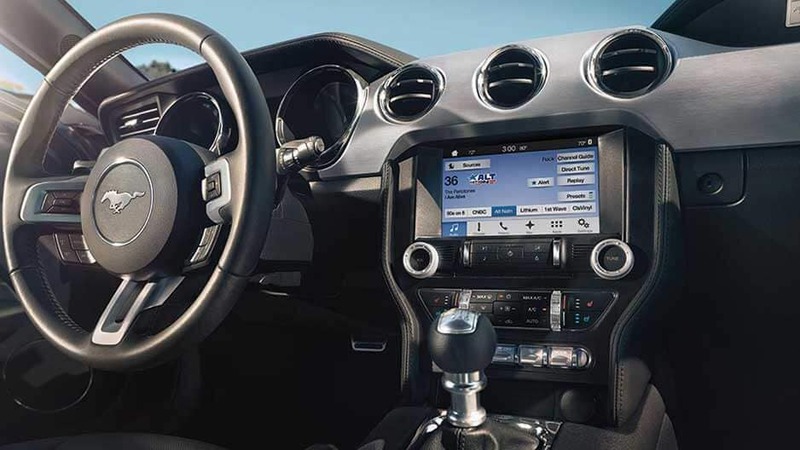 With the new Ford Mustang’s available Sync 3 system, you can connect your smartphone via Apple CarPlay™ or Android Auto™ to stream your favorite music, answer calls hands-free, and get turn-by-turn directions right from the touchscreen. Pump up the volume in the new Ford Mustang with the available B&O Premium Sound System. The system features 12 speakers, including an in-trunk subwoofer, that surround you in concert-quality sound. 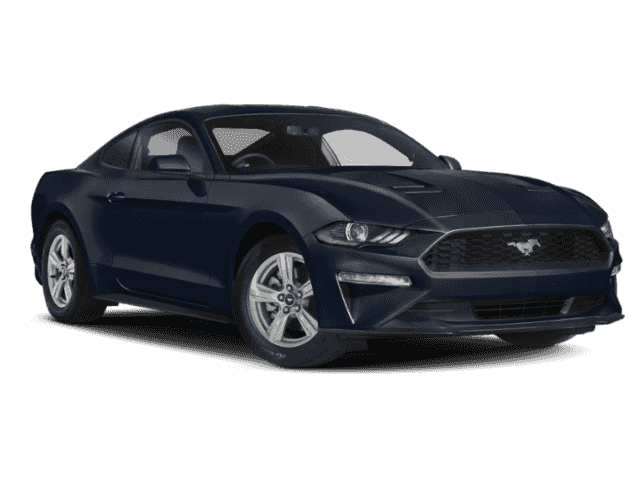 The new Ford Mustang comes with a six-month SiriusXM Satellite Radio trial subscription, so you’ll have access to up to 150 channels of commercial-free music, as well as live sports, entertainment, news, and so much more. With the Ford Mustang’s five-year subscription to SiriusXM Traffic and Travel Link® services, you’ll have access to turn-by-turn directions, 3D mapping, and detailed traffic information available right from the display screen. Stay connected to the new Ford Mustang with the FordPass app that allows you to access certain vehicle functions right from your smartphone. 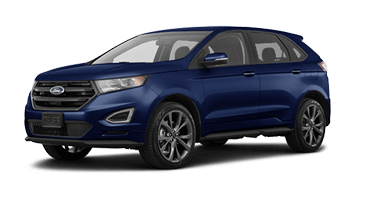 With the FordPass, you can lock, unlock, and start the Mustang remotely, find gas stations, and receive key vehicle information with the touch of a button. Safety is standard in the new Ford Mustang. 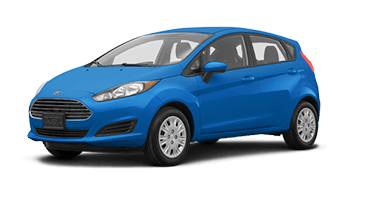 This sporty performance car comes with the latest in advanced driver-assistance technologies to help up your safe-driving game, including Pre-Collision Assist, a lane-keep assist, and adaptive cruise control. 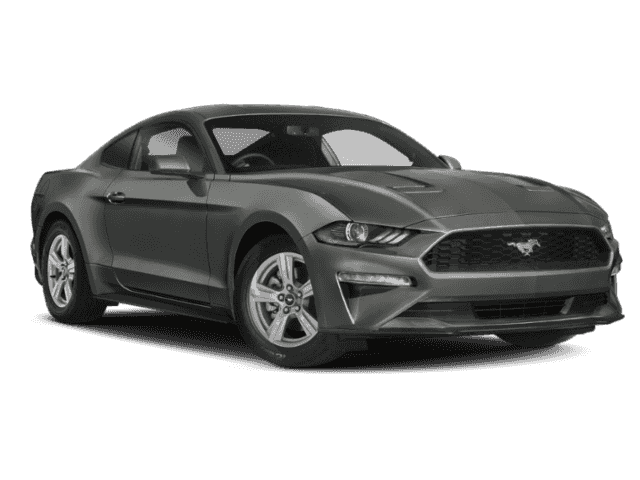 While there is no substitute for an alert driver, the new Ford Mustang’s Pre-Collision Assist with Pedestrian Detection helps you stay aware of what’s ahead of you. 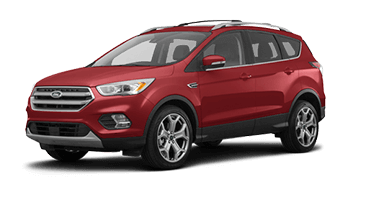 The system alerts you when there is the potential for a forward collision and activates automatic emergency if you do not slow down before a collision. The Ford Mustang’s lane-keep assist detects when you unintentionally drift from your lane without signaling and warns you with gentle steering wheel vibrations. 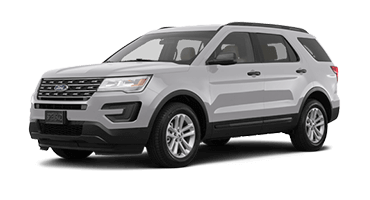 With available adaptive cruise control, you can set the Ford Mustang’s following distance and speed, and the vehicle will slow down to maintain the preset distance if it detects a slower-moving vehicles ahead. 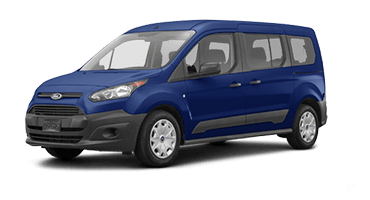 Once the system no longer senses that vehicle, it will accelerate back to the original cruising speed. Back out of any parking spot or driveway without straining your neck with the Ford Mustang’s rearview camera. 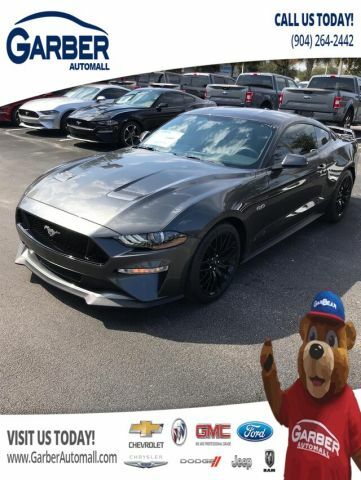 When you place the Mustang in reverse, the camera will activates and displays a live feed of the area behind you on the infotainment screen. Using radar technology, the Ford Mustang’s Blind Spot Information System scans the perimeter for approaching vehicles. If the system detects a vehicle in your blind spot, it will alert you with a visual indicator on the corresponding side-view mirror. Put the pedal to the metal and feel the exhilarating power of the new Ford Mustang. This iconic performance car offers a thrilling ride on and off the track with a choice of three engines, two transmissions, and five performance settings. 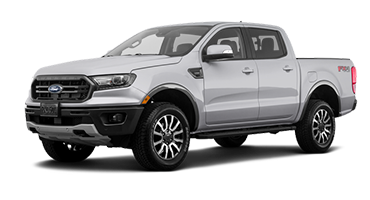 Peek under the hood and discover the turbocharged 2.3-liter EcoBoost engine that kicks out a thrilling 310 horsepower and 350 pound-feet of torque, delivering a shock of adrenaline to your system. The new Ford Mustang offers two versions of its breathtaking 5.0-liter V-8 engine. 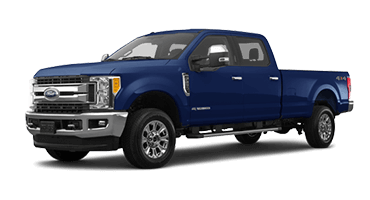 In GT models, this 5.0-liter V-8 delivers 460 horsepower and 420 pound-feet of torque. In the Mustang BULLITT, this engine cranks out 480 horsepower, racing the Mustang to 60 mph in under four seconds. Ford designed the much-anticipated 2019 Mustang Shelby GT350 with sheer performance in mind thanks to its 5.2-liter V-8 engine (2018 model). This 2019 Shelby GT350 takes it one step further though with its new 19-inch wheels wrapped in more-aggressive rubber, improved aerodynamics, unique chassis tuning, and a plethora of cosmetic features. Ford gives you the power to fine-tune the Mustang’s performance to how you want to drive with available selectable drive modes. Choose between Normal, Snow/Wet, Sport, Track, or Drag Strip, and the system adjusts the Mustang’s handling and responsiveness. 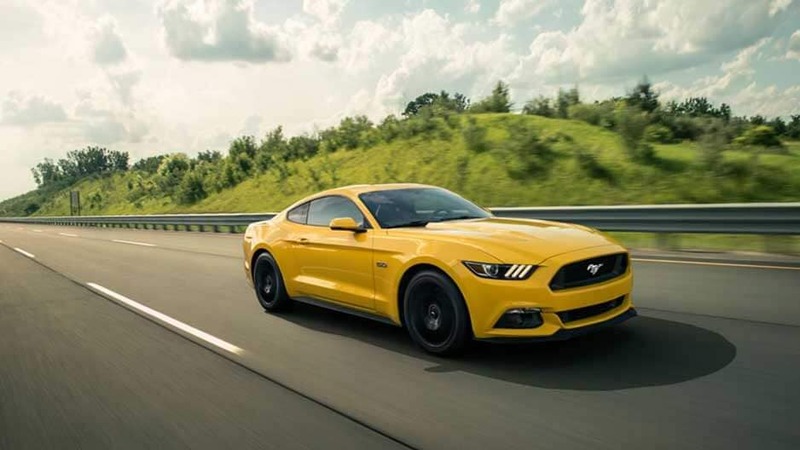 Opt for the new Ford Mustang’s 10-speed SelectShift® automatic transmission for the improved response and performance while racing around the track. 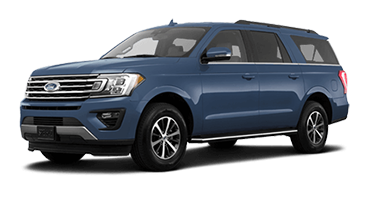 If you prefer the quick, sporty throws of a manual, Ford has you covered with a six-speed manual transmission that provides a powerful launch. The new Ford Mustang is impossible to ignore, especially with its class-exclusive active active valve performance exhaust. This exhaust lets you control the volume of the Ford Mustang, so you can set it for Quiet Start early in the morning or bump it up to Sport mode when you want to get noticed. Get your adrenaline pumping in the new Ford Mustang. This legendary performance car is a modern twist on an iconic classic with the latest in advanced technology. Connect your smartphone to the Sync® 3 infotainment system and pump up the volume as you race around the track. Add in the available Bang & Olufsen® Premium Sound system and bask in the modern-day luxuries the Mustang has to offer. The fun doesn’t stop in the new Ford Mustang. Choose how you drive with several selectable drive modes that fine-tune the Mustang’s performance. 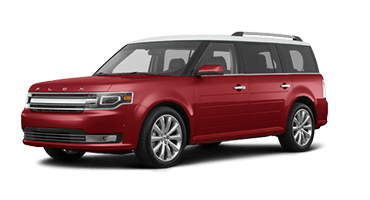 Select Track mode for when you’re tearing up the raceway, or Normal when you’re cruising around town. Whichever mode you choose, you’ll travel at the head of the pack in the new Ford Mustang. 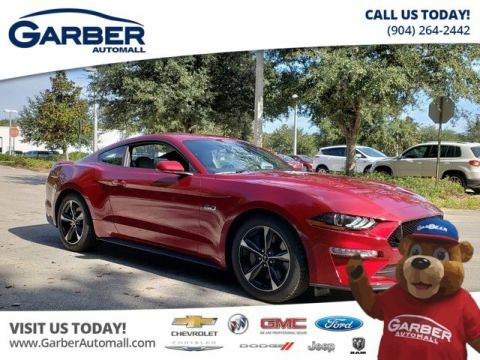 Experience the legendary Ford Mustang today, with a test drive at Garber Automall in Green Cove Springs.